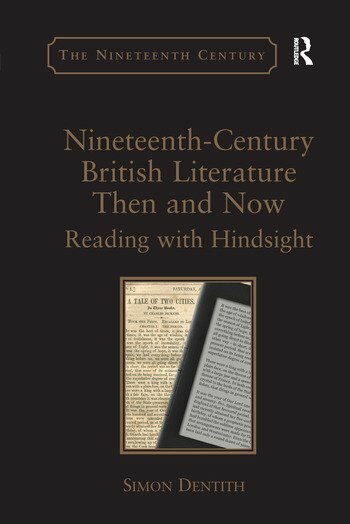 Envisioning today’s readers as poised between an impossible attempt to read texts as their original readers experienced them and an awareness of our own temporal moment, Simon Dentith complicates traditional prejudices against hindsight to approach issues of interpretation and historicity in nineteenth-century literature. Suggesting that the characteristic aesthetic attitude encouraged by the backward look is one of irony rather than remorse or regret, he examines works by Charles Dickens, George Eliot, Anthony Trollope, William Morris and John Ruskin in terms of their participation in significant histories that extend to this day. Liberalism, class, gender, political representation and notions of progress, utopianism and ecological concern as currently understood can be traced back to the nineteenth century. Just as today’s critics strive to respect the authenticity of nineteenth-century writers and readers who responded to these ideas within their historical world, so, too, do those nineteenth-century imaginings persist to challenge the assumptions of the present. It is therefore possible, Dentith argues, to conceive of the act of reading historical literature with an awareness of the historical context and of the difference between the past and the present while allowing that friction or difference to be part of how we think about a text and how it communicates. His book summons us to consider how words travel to the reality of the reader’s own time and how engagement with nineteenth-century writers’ anticipation of the judgements of future generations reveal hindsight’s capacity to transform our understanding of the past in the light of subsequent knowledge. Simon Dentith is Professor of English at the University of Reading, UK. He has written widely on nineteenth- and twentieth-century literature, most recently in Epic and Empire in Nineteenth-Century Britain.